The crisis in Syria is the worst humanitarian disaster of our time. Over 11 million people have been displaced, and over half are children. Help create a global response today by donating and making a difference in a family's life. One of the biggest trends I've seen in the past few years is the fusion of fitness wear into everyday wear! The busier we are, the more we place importance on incorporating comfort into our everyday lives and style. 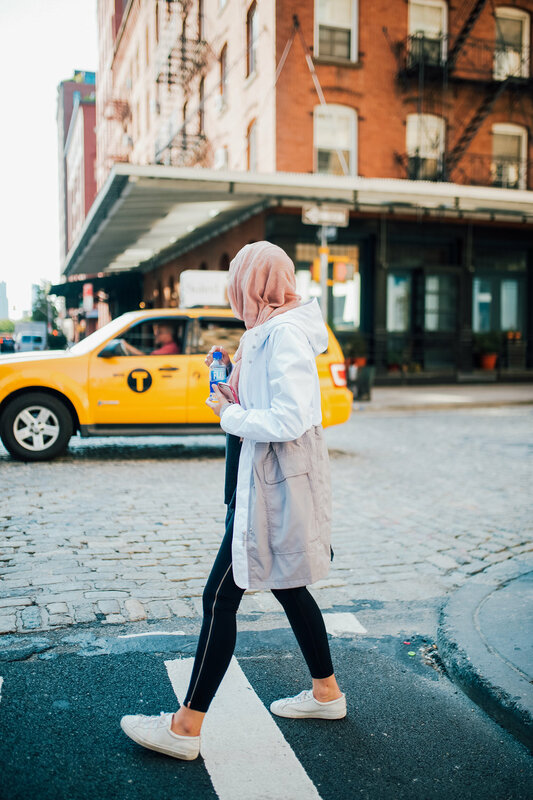 Today, I'm teaming up with Athleta to share how I styled their #streettights into my day of errands in NYC. For this look, I went for something casual for running errands. My favorite thing about the "High Rise Copper Zipper Chaturangaa Street Tights" is the added luxurious details in the zippers and pockets. They feel fancy enough to pair with a long sweater in boots in the fall, and sporty enough to pair with a sweatshirt on a busy day. It also feels very firm on my body, giving me more of a grip in my walk (compared to thinner leggings). I paired the "Elemental Rain Coat" along with the tights, which is especially great in its super wide side pockets (meaning I didn't have to carry a purse!). 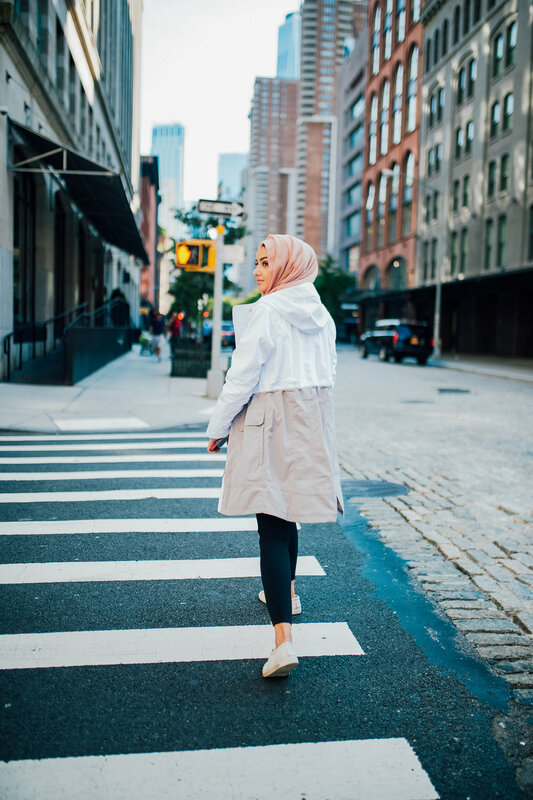 I'm absolutely loving all of Athleta's latest releases for fall, which are super accommodating for those of us wanting more modest athleisure wear. Here are some of my favorite pieces in their collection!